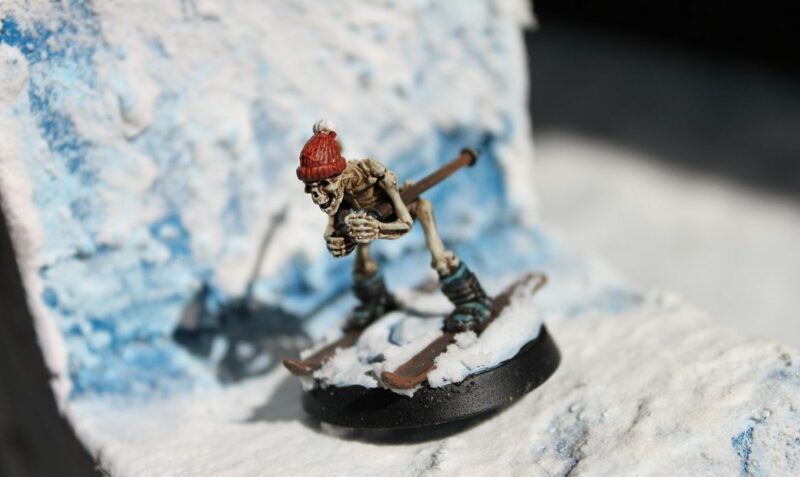 I got this amazing skiing skeleton as a freebie in an order from Otherworld Miniatures…. The question is not “should I use him in my current D&D campaign?” but “how on earth do I get him into the campaign?” 🙂 In the end I introduced him to a game in flight in a spur of the moment action speeding down a snowy mountain towards the party. And the crowd loved him.